"The State of the Earth"
To help the reader, this channelling has been revisited [by Lee and Kryon] to provide even clearer understanding. Sometime information is even added or condensed. Often what happens live has implied energy within it, which carries a kind of communication that the printed page does not. So enjoy this enhanced message given in Big Sky, Montana. Greetings, dear ones, I am Kryon of Magnetic Service. Tonight I want to give you a story. It's a love story, and it also happens to encompass the history of the planet, the now and the future. These are things I want to tell you and things I want to qualify for you. Let's call it, "The State of the Earth in June 2017. This is a love story because of where it begins and how it starts. 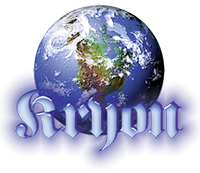 If you go back 24 years, the public channellings of Kryon began in Kryon Book One. The information was basically an introduction to the shift, which I and so many others began telling you was coming. It wasn't esoteric information from me, but rather something that the ancestors and the ancients all knew about. They had been watching the stars in the skies for thousands of years. They realized that the stars changed subtly from decade to decade and they started to understand the mechanics of the solar system and the earth's orbit around the sun way before modern telescopes. They figured out that the earth goes around the sun and that there had to be a slight wobble to the planet itself to make the sky change as it did. They even computed the very slow duration of the wobble, and through time, prophecies developed around it. However, the prophecies were so similar between these ancients that even today those who study this are amazed. How could these stories be so similar when the ancients didn't know each other? How could the information be so much alike even though vast distances and centuries separated them? The ancient calendars that you are familiar with began their long count (more than 5,000 years long), and the talk about the potential of consciousness shift began. The end of the calendars were set to happen in 2012 - the "centering" of the wobble. In 1989, my partner started speaking for me, two years after The Harmonic Convergence. By 1993, my partner received and published Kryon Book One. It was a revelation of what was coming: The shift may occur now that many things had happened to eliminate the potential of world war. I told you why the Kryon group was here, what was going on, what might happen next and some of the prophecies of what to expect. It was a cryptic book - a small one, for my partner was just learning how to be in total coherence with the central source (channelling). Channelling is enhanced intuition and the bridge to the other side of the veil. The book revealed the feeling of complete love and compassion for all humanity. In this first book of Kryon, I gave you information about the changes in the magnetics of the planet and more. I also gave a few sentences that contained hints of a coming weather shift. My partner interpreted it in this way: He said that there would be times and places where it would rain where it never had before, and places where the rain would stop where it had always rained before. In other words, massive climate change was in the works - and that was in 1993. This was the precursor for what you are now experiencing on the planet. It's not a story of doom! This is a love story, dear ones, and the story is the love of God, the love of the central source, the love of all there is - Gaia itself - for the Human Being. The title of the book was The End Times, since it was the end of the old energy. What is happening now is all about you, dear ones. The old souls on the planet are here on purpose and on time. There is no mistake you are sitting in your seat at this time. Some of you are just learning about these things and some of you are very aware of these things. Each of you has his/her own path and each Human has a unique decision of what to believe and not believe. But you are here on purpose! I'm here tonight to tell you a tremendous love story, that in 1993 there was a shift coming and that the earth itself was preparing for it. The actual physics of the planet was posturing for the new Human, so that you would be able to advance yourself, learn about the coherence with the planet, with your own selves. All the information was talking about a time when humanity would start to come out of the old energy which you call Human nature. This term referred to how Humans behaved. It never shifted and it never changed, but now it was going to. The prophecies were not about events as much as they were about consciousness shift. It didn't matter if they were written in the Mayan calendar or on the Hopi Prophecy Rock, they were the same. They all spoke about different paths Humans would be forced to take because of the shift, but a split between dark and light was the subject. In their own ways, they spoke about a planet that was in great transition and that if humanity hadn't destroyed itself by the centering of the wobble (December 21, 2012, the center of the precession of the equinoxes), that something amazing would begin - an evolution of humanity in a way that you had never seen before. It would start with improved and wiser consciousness and all that went with it. We told you in 1993 that you must have an earth that was prepared for it, so the magnetic grid would shift, the weather would change, and even your place in space would be altered. You have seen all of them. However, of these, let's talk about the weather first. For many years, I have spoken on what is happening with your weather. When I began, my information was highly controversial, for it did not match what you were being told by the media. For those same years, you have seen that which was called "the warming". I told you that it was actually the beginning of a "cooling". I did this to head off what always happens with the doomsayers: I wanted to set the record straight before others would come in and build another doom scenario out of the weather shift, which is very common for humanity. Fear is the old energy's friend, and change always creates fear. I want to make a statement: The doom scenario of humanity is so ingrained in you that it has become a habit. Whenever you see something unusual, the first thing you think of is doom! Dear one, you were trained to think that way! In the old energy, it came from history, from scripture, from your parents, from all those who would socially join in, and in conspiracy theories that had all of humanity coming to a horrible end - and seeming to enjoy themselves while they did it! The doom scenario, dear ones, is a habit. Your current movies don't help, with some of them being doom scenarios about weather and earth changes. You're still not through it. The habit is alive and well. However, this is a love story. I want to tell you about the weather. If you would like to scientifically track what's happening, simply look to solar activity. That is the reason and always was. Kryon did't bring this to humanity. You can see the cycles of weather on the planet from the cycles of the solar activity as recorded in history. They correlate, and it's happened before. What you see today is not approaching doom. It's not a mistake that another cycle is coming, and we told you it would, 14 years ago. Listen, the cycle comes whether there are Humans here or not. Should we say that again? The cycle comes whether there are Humans here or not. This is controversial. Let the records of the ice cores and tree rings show that the cycle is very consistent. It starts with warming and high carbon dioxide levels, and it eventually goes into a place of cooling. This cycle has been seen over and over throughout the centuries in various stages of intensity. This time, right on schedule, there is the beginning of a mini ice age. People say, "When?" If you have been paying attention, you don't need a prophet. Instead, look at the cycle from the charts of the past and the behavior of the sun. The timing is there, but I'll tell you anyway. You will start seeing the cold portion within 15 years (2032). Some of you are still enjoying the warming section of it. That will slowly start to move. It must come before the cooling, and that scenario is known by those who study the planet's dynamics. The issue so far is that you really haven't heard much from this expert group, since they are often employed by the government or have university grants. So what they may wish to tell you is still at odds with the popular story that others wish you to believe. A mini ice age is coming. "Kryon, isn't that doom for the planet?" Many have seen the artist's rendering of major earth cities under ice and all of the other things that go very well with science fiction movies. That's simply a painting of someone's doom scenario, not reality based in the history of the cycle. If you want to know what a mini ice age is like, just flash back in history and study what took place in about 1650. That was a mini ice age. Due to the change in the Gulf Stream (the ocean), the river Thames froze in London. Dear ones, it was cold, but it did not doom the planet. That's a mini ice age. That's what you're facing, and I'll say it again. If you live in a cold climate, heed this advice: It's going to get colder. Get off the grid! Within the next 15 years, find a way of producing electricity independently or in smaller groups. This can be done neighborhood-wide or separately in homes. You're going to need this, dear ones, because the grid as it exists right now all over the world is not prepared for this coming cold, and the grid will fail. That's not doom and gloom, that's just practical, commonly known information. Your electricity infrastructure is delicate, too delicate. Prepare for a cold spell that may last for a couple of decades. That's all it is. Technology is racing forward to allow this. Don't let your politics get in the way of your survival. Why is this a love story? Listen: Why does Gaia do this? What's the purpose of these kinds of things? I'll give it to you one more time - it's controversial, even unbelievable to many. How many of you here have fish tanks in your homes for the care of fish? Those listening and reading: How many have had, or have, fish tanks? For those who do, I'll tell you something that you already know: You can do whatever you need to the water over time to condition it and make it last. You can change the pH level, you can change the temperatures, and you can aerate. However, there eventually comes a time where you've got to change the water! This is what the temperature changes are about on the planet. This is controversial. The planet can't just "change the water". It does it instead with a "reboot of life in the ocean" using the water cycle. Watch for evidence of this as it occurs, and then remember this channel. This weather cycle is to refresh the life in the ocean so that everyone on the planet will have needed food from the ocean. Gaia does this by itself, has done it before, and it does it for a reason - so it will not stagnate. Dear ones, indeed, you have put compromising things into the air and the water, but it has not caused this cycle. We have said for a very long time, stop killing the environment! The reason? It's going to kill you, not Gaia. Gaia is spectacularly resilient and will survive anything you do. However, it is you who may not survive if you continue polluting. All this is starting to change with your awareness, and you're starting to see this and move with it. But Humans are not causing the current weather shift. This will be known eventually. What is happening has happened before, and it's almost like a reboot for the oceans and it carries a lot of dichotomous events. You're going to see reports of a dying ocean, but at the same time you're going to see unusual reports of too many fish and other sea life in places that were supposed to have a decline. You're going to see the life cycle of the ocean itself start to change and reboot. The chief player in this renewal is a place you would not expect: Antarctica. I want you to watch for magic in Antarctica. It has always been the core of the refreshing of microbes and other kinds of life in your oceans and it's especially active during these mini ice ages. The process will cause currents under the sea to be filled with new life, delivering it to both hemispheres almost like an under-sea conveyor belt. So how does this weather shift affect humanity in this love story? How does that work exactly? It means that you, as well as the major life cycle of Earth, will have enough to eat! The ocean is the giver of life, food for the planet, for the life cycle of Gaia itself. The earth must do this for you, and it's all very related to the solar activity and much more. The love story continues, does it not? Look at the timing. The ocean refreshes itself right after the shift. What is the shift? It is a renewal, an absolute renewal of civilization as you know it. You passed the marker where destruction and termination were expected. You're overdue for a war, and you know that. The sociologists are scratching their heads. The scientists are, too. This is a very unusual time for humanity. Here in your seminar, there's a team of people who are teaching you the truth of what is happening and they are scientists! The miracles that are before you and what they're describing, dear ones, is the love story. The earth is being prepared so that you will have enough food. The shift is your decision, against all odds from your prophecies, to stay on this planet and not destroy yourselves. You are headed for a higher consciousness, and the ideas that are starting to come to you will eventually be accepted and not rejected. It will be the first time in your civilization that these ideas will start to be acceptable. Regarding higher consciousness - eventually there will come a time where you won't kill each other. I've said this before, dear ones. Listen to me - the end of war on Earth is not the end-all goal. It's the beginning, for when there is no war, inventions will be given to you and physics will be given to you - new physics that you will not weaponize. This is where it really begins. There will be new paradigms of feeding yourselves, warming yourselves, and creating far better health for all. Slowly, a higher sense of integrity and compassion will create the end of suffering for the planet and the beginning of politics that make sense, governments who get along and a general coming together of civilization. You won't overpopulate yourselves either, as the doomsayers tell you. There is a reason for population explosion, and it's not mathematics. It's ignorance. How do I know about what is coming? I've seen it, I've seen it! You haven't, so you take this information, walk outside, and roll your eyes and say, "Well, maybe not. Maybe not. It's a fantasy that can't happen." Socially, right now it begins. Did you notice? Nothing is going to remain the same. When these changes begin, the reaction will often be fear. When you see the economy starting to shift and change and a new paradigm begins, there will be fear. The new paradigms are here to actually save old systems that are systemically broken. But when it begins, many are not going to like it. Humans want everything to be the same and, when change starts, there will be those who will stand up and say, "See? It's the doom of the planet! Here it comes! We told you so." They're already doing it. You're five years into the shift. Mother, how long does it take to raise a child? I'm hearing from the audience 40 years, but that's not always right [laughter]. Let's call it 20 years. During that time, the love story from you to the child is always there, no matter what happens. When they are 3 or 5 or 11 or 17, the love story remains no matter if they are kicking and screaming, calling you names, or frustrated at life. The love story continues even when they're going through self-worth issues or depression. You are there and you do your best, because the love of a parent is unsurpassed. You are birthing a new energy and a new paradigm on the planet, and you are five years old [time since the shift began]. You're starting to stir and ask questions: "Is this really happening? Is this really a shift, or is it the end of the world as we were told years ago?" This is Human nature to go into fear no matter what. Come back in time with me, thousands of years ago. Come back and pretend for a moment you are in a small group called the Israelites. You are about ready to do something profound - to move out of Egypt. You have suffered years and years of horror as slaves. Your people don't live very long and you know why. Generation after generation, you were enslaved, but suddenly it changed. You have seen this with your own eyes, Israelite. You have seen the miracles take place one after another, which changed the pharaoh's mind. You saw them all right up to the big one - the passover. You got to see it with your own eyes. This wasn't something esoteric. It was real life. It was time to escape, and you gathered your things and you moved as a small group across the desert, always looking behind you for trouble. You came across the Red Sea (then called the Reed Sea) and you got across it and pharaoh didn't follow you. That is the miracle of miracles! You made it! You are free! You had seen it with your own eyes, and it etched a memory into your brain. You cognized it, and it was real. Then you walked in the desert toward the promised land - your new land. But it seemingly never came. You started to go across the desert in circles, and the cry was, "Here it comes! The promised land is coming." Yet it didn't come fast enough, did it? Within five years, you'd lost some of your profoundly wise seniors who were the core of the exit. The ones who remained tried their best to give you more guidance for patience, but it fell on deaf ears. The young people were starting to object to the leadership. The profound civilization that had personally seen the miracles of "The One God" started to doubt and create other gods. It simply wasn't happening fast enough for anyone, and the group was frustrated. Do you recognize the pattern? Be careful, dear ones, that you recognize slow growth as needed and the way of wisdom. Do not become so impatient that you lose track of what has happened. I sat on a stage in Israel not so long ago and told present-day Israelis something they didn't want to hear. I told them they were still walking in circles and that the promised land is the New Jerusalem. They were walking in circles with the old paradigm from their parents: hatred and fear and war and the expectation of the same from the other side. I told them they would continue to walk in circles until they dropped the old ways. Other former enemies of only 70 years ago had dropped the old consciousness, but they never did - even after more than a thousand years. It was time, and they would lead the way to peace on Earth. I am going to give you profound truth right now, dear ones. The love of God is not going to terminate this planet when you're only five. Everything that has happened has been with your own free choice. The precession of the equinoxes has a time frame as it moves through the stripe in the sky [the Milky Way]. It took 18 years to get to the center [the shift of December 21, 2012] and will take 18 years to come out of it. It adds to 36 years combined - a nine completion. You're only five years into an 18-year window of shift. We told you that this is the time where you can make a difference. Listen to what has been presented this day, and don't fear that which others tell you you should fear. A mini ice age is coming to cleanse the ocean and to feed this planet, yet there are those who say the earth is doomed and you're going to freeze to death. I guess that's how much God loves you? Can you imagine going through all of this - going through the shift, starting to have all this new information available, starting to have all of the science that is coming, successfully fighting the dark army - and then God and Gaia snuff you out? How does it feel so far? Dear ones, that is a fantasy of doom that is the residue of a very old energy. I want you to celebrate the love of God and the cycles that are here. They are new for you, so you have to see what they mean. You're going to have to rewrite the doom and gloom scenario that you have grown up with and continue to hear about. You had a movie the other night, a different kind of science fiction film [speaking of the movie Arrival, which was shown to the attendees]. It's one of the first of its kind in years and years with aliens who visit Earth, and they are a lot like you in their consciousness. They need your help. In the story, they didn't come to destroy you; they didn't bring great weapons; they didn't come to steal your gold or your oceans. What a concept! There is life in the Universe, dear ones, that is far more advanced than you are. This is because they have been here far, far longer than you. They are far more evolved. I'm not saying they have bigger brains. I'm talking about the fact that they have compassion and wisdom and intelligence far beyond yours. They settled their own peace problems millennia before you did. They look at you, but they have a hands-off policy because you have free choice. They've always looked at you. They come and they go and never "announce themselves". You've been seeing many of them for centuries, but they keep their distance because you are not ready yet. You're about to experience more changes. We told you this morning that darkness smiles when you're fearful. It's up to you how much smiling goes on. We told you you cannot kill darkness, and that the only way to diminish it is to create more light. The more light there is, the less darkness you will have on the planet. You are right now in the cusp of major social discovery. Did you hear what was presented on this stage today? Science is beginning to understand compassion, coherence and the meaning and purpose of the heart. They are finding out that this coherence creates healing, large shifts in thinking, and is responsible for bringing compassion to those who didn't think that was possible. Dear one, this is the start of major benevolent change, not the beginning of doom. I want you to remember that. When you leave this place and listen to others, there will always be those who tell you that "the end is near". When my partner was a child, the first thing he learned in his church was, "The end is near." He continued to hear this theme from others for years, "The end is near." It's always near, it seems. This is what your society has expected in so many ways for decades. Therefore, the box of reality you have grown up with almost demands that you be afraid. We've asked you to disassemble the box. Maybe it's time to create a new paradigm of belief that says that all the other boxes are shattered that came before. What's happening now is the greatest love story of all - how much God loves you. You made it through the shift and you began to climb a hill of change. Frightening? It can be. Scary? It can be. Difficult? It will be. Who better to do this than one who has lived hundreds of lives and has the wisdom of the Akash to pull on? Who better to help take the planet through all this? The answer is "you". That's the greatest love story of all. It's between you and spirit. Can you feel it? Can you feel perhaps the coherence today between you and I as I give you truth? It's news that is good, fresh and promising. You'll see. Things are not always as they seem. Go from this place differently than you came. Understand you are not alone in any of this. That's the message of Kryon. Let it be so.